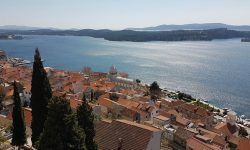 During the last years, several campsites have expanded their offer to include not only regular pitch rental but also the rental of Mobile homes, which is now offered by more than 30 campsites in Croatia. The last couple of years rental of tents has become more and more common. 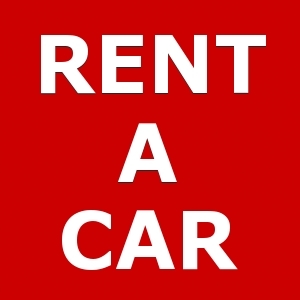 Here you can find a list of campsites where you can hire a tent for your camping holiday in Croatia. 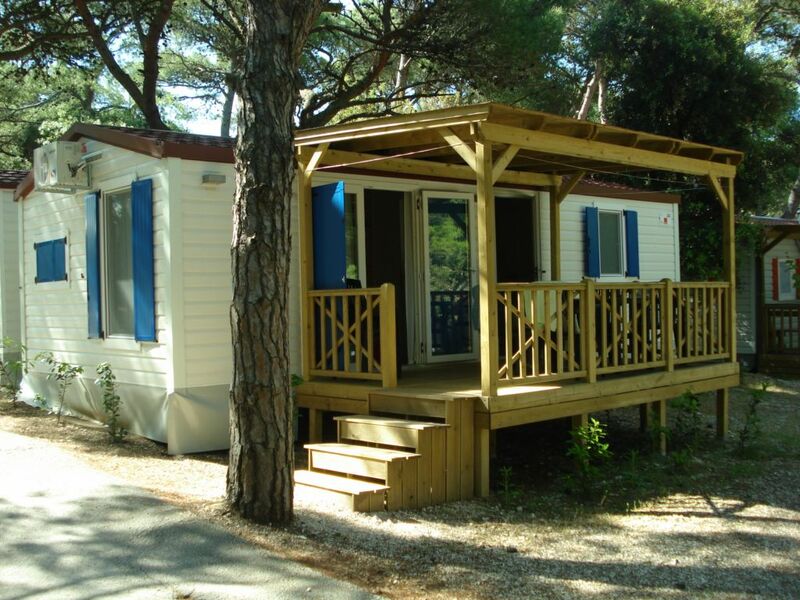 At Camping Zelena Laguna in Porec you can rent spacious 3 bedroom bungalow tents for up to 6 persons, the tents are equipped with fridge, cooker and a metal cupboard with lock. For outside sitting, there are chairs and a table as well as deckchairs for sunbathing. At Camping Lanterna in Porec you have two types of tents to choose between: in bungalow with 2 bedrooms and one with 3 bedrooms, both types are equipped for up to 6 persons. The equipment includes cooker, fridge with freeze compartment, metal kitchen cabinet, and of course a table and 6 chairs as well as two comfortable deckchairs. Camping Bjela Uvala in Porec offers luxury 3 bedroom bungalow tents for up to 6 persons, the tents are equipped with kitchen appliances, including 4 ring cooker, fridge and freezing compartment. The outdoor equipment includes a table and 6 chairs, sunshade and 2 adjustable chairs. Camping Amarin in Rovinj. Rental of 6 person bungalow tents with 3 bedrooms / sleeping cabins. Kitchen equipment includes, 4 ring cooker, fridge with small freeze compartment for ice cubes. Metal cabinet for storage. Camping Vestar in Rovinj. Bungalow tents for up to 6 persons in 3 sleeping cabins with comfortable beds. Fully equipped kitchen for self catering, outside furniture includes sunshade and sun chairs. Camping Porto Sole in Vrsar offers two types of tent, one similar to those at Camping Vestar and a second luxury version with 2 cabins and sleeps for up to 6 persons, the spacious carpeted inside area with kitchenette equipped for self-catering meals, and large area for eating, playing… for the outside area there is a garden set. Camping Polari in Rovinj. 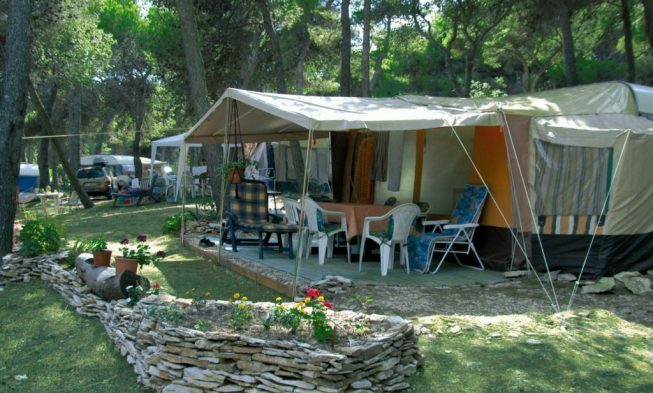 A small campsite located close to the centre of Rovinj; at the campsite you can rent tents of the same type as the ones at camping Vestar. Camping Krk is situated close to town Krk; at the campsite you can rent mobile homes as well as luxury tents equipped for 6 persons. Camping Krk has a beautiful pool area, great facilities and entertainment for both adults and kids. Generally, sleeping in a tent is allowed only at campsites, regardless of whether you bring your own or rent a tent. If you choose to tent anywhere else, you risk getting fined by the authorities. Exceptions in some cases apply by larger events, like e.g. festivals where local authorities may appoint temporary camping areas. Large shops with camping equipment basically don’t exist along the coast, but you can buy some equipment including smaller tents in larger sports shops and supermarkets. In Istria and Kvarner it can be a bit chilli during night, so make sure to bring warm clothes for the evening and a decent sleeping bag or blanket. Weather can change rapidly during the day, also during summer season where thunderstorms with strong winds and heavy rainfall occasionally occur, so make sure to check weather forecast if you leave your tent unattended for a longer period.